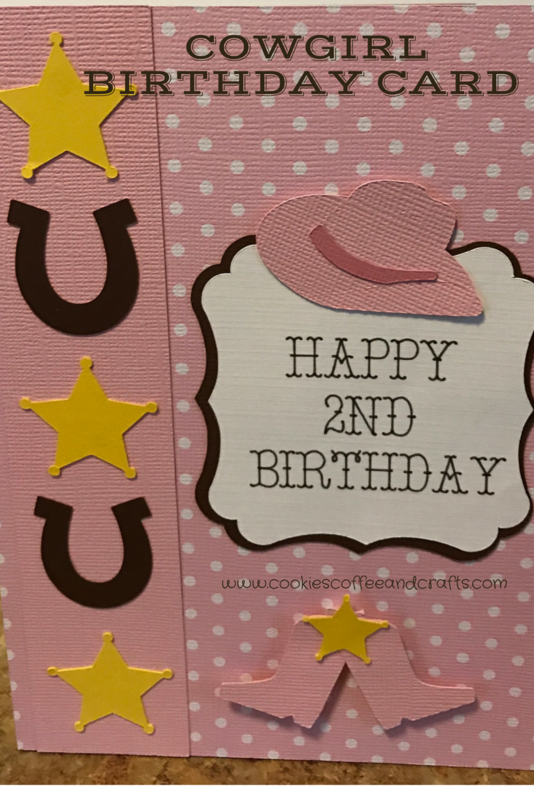 Today I created this cute and country cowgirl card for my daughter’s 2nd birthday. 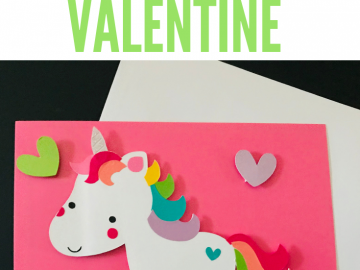 I created this card in Cricut Design Space and all the images and text are available with a Cricut Access Subscription. 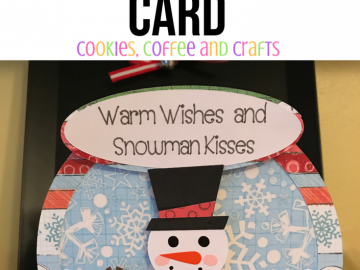 The font I used on the card is Country Life. She loves Sheriff Callie’s Wild West, so I used the sheriff badge as an accent and the horseshoes on the long rectangle. I added on pink boots because every cowgirl needs pink boots and the matching cowgirl hat. The paper is all from JOANN’S. The new scrapbook paper at JOANN’S is beautiful and has amazing colors to choose from. I used the EK Tools Zig Memory System 2-Way Squeeze and Roll Glue Pen, New Package to glue on the sheriff badge, horseshoes, and the cowgirl hat. I absolutely love this glue pen and would highly recommend it. To glue on the rectangles and the birthday sign I used Elmer’s E4008 CraftBond Adhesive Squares, Double Sided, Permanent, 1/2-Inch by 1/2-Inch, 250 Squares per Pack, Clear . I like to use these squares because it allows you to adjust the paper as needed and then press firmly. For the cowgirl boots I used Forever In Time 3D Pop Dots Square Dual-Adhesive Foam Mount, 1/4-Inch, 528 Per Package . 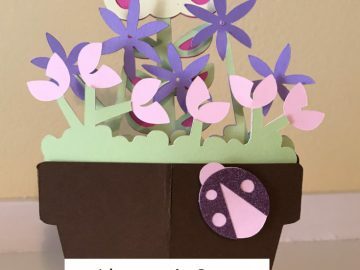 I used the 3D pop up squares because I didn’t want the boots to blend into the polka dot papers because the colors are similar.